Reports making the round claims Chelsea new manager is preparing a double winter raid in signing AC Milan stars Alessio Romagnoli and Mattia Caldara to bolster his defensive options in January, according to Calciomercato. The duo has been hailed as the future of the Rossoneri’s defence and Milan are reluctant to let either leave, especially with Leonardo Bonucci returning to Juventus this summer. Romagnoli, a left-footed centre back, has played twice for Milan in Serie A this season and captained them in their defeat against Napoli and win over Roma. Centre-half Romagnoli, 23, who has seven international caps for Italy, has captained Milan in their opening two Serie A fixtures so far this season. 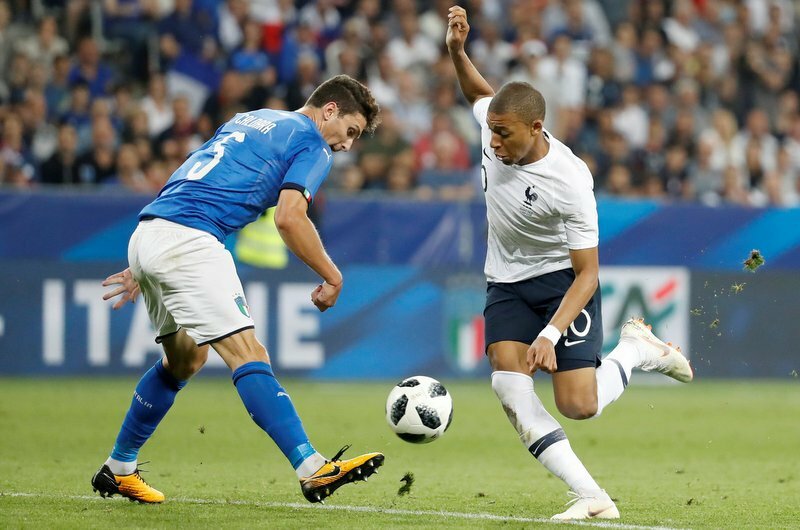 Meanwhile, Caldara, 24, who is also a centre-back and made his Azzurri debut against France back in June, has remained on the bench during his side’s opening league games this term. Caldara moved to Milan from Juventus on a five-year deal earlier this summer in the deal that saw Bonucci return to Turin and Gonzalo Higuain also move to the San Siro. Sarri has impressed in the early stages of his Stamford Bridge career, winning all four of his Premier League matches at the helm. Despite those victories, in which Chelsea have conceded just three goals in four games, Sarri remains keen on adding to his squad at the next available opportunity.